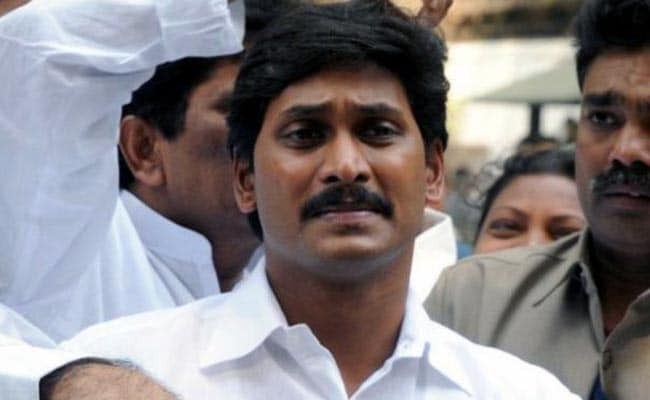 YSR Congress president Jagan Mohan Reddy has termed the Telugu Desam Party's decision to quit the NDA as a "win for democracy". Amaravati: YSR Congress president YS Jagan Mohan Reddy today said the TDP had "woken up" to the needs of Andhra Pradesh by giving a notice for a no trust vote against the Narendra Modi government over special status to the state. His remark came after the TDP this morning quit the NDA following the Centre's refusal to give Andhra Pradesh Special Category Status (SCS). TDP leader Thota Narasimham today gave a notice in the Lok Sabha to move the no trust vote on Monday. Terming the TDP's decision a "win for democracy", Mr Reddy asserted his party would continue to fight for Special Category Status (SCS) for Andhra Pradesh. "After 4 years of relentless struggle and fight by YSRCP with people's support for Special Category Status; finally the nation, including @ncbn's TDP wakes up!" Mr Jagan said in a tweet. He said that even if guided by political compulsion, the TDP had to yet again follow the YSRCP's lead of moving a no-confidence motion against the Centre for not granting SCS to the state. "Win for democracy & people of AP. YSRCP will continue to fight for SCS, the rights of the people of AP," Mr Reddy, who is also the Leader of Opposition in Andhra Pradesh, said in another tweet. The YSRC had yesterday issued a notice to the Lok Sabha Secretary-General for moving a no-confidence motion against the NDA government. It said that this was for failing to implement the AP Reorganisation Act, 2014, and also the promises made in Rajya Sabha by then Prime Minister Manmohan Singh, including grant of special status. Initially, the main opposition party in Andhra Pradesh wanted to move the motion on March 21, but with indications that the Lok Sabha may be adjourned sine die ahead of schedule, it decided to move the motion today. The TDP, which last evening announced support for the no trust vote, today decided to move a motion on its own. "Supporting a no-confidence motion moved by a thieves' party (YSRC) will send wrong signals to the people. Hence, we should move a motion on our own," TDP president and Chief Minister N Chandrababu Naidu told his party leaders via a tele-conference. "YSRC's notice (for a no-trust motion) will have only five signatures whereas we have 16. It will be easy for us to muster support of 51 MPs (required for the motion to be taken up)," Mr Naidu said. He alleged that the BJP was enacting a "drama" through Mr Reddy and Jana Sena chief Pawan Kalyan. "You move a no-confidence motion and make your MPs resign. We will grant SCS and make believe it happened only because of you. That's the BJP drama through Jagan," the chief minister alleged. The TDP chief said that the BJP was enacting "another drama" through Mr Kalyan by asking him to launch a fast-unto-death. "People are watching all this and they will teach a fitting lesson," he said.